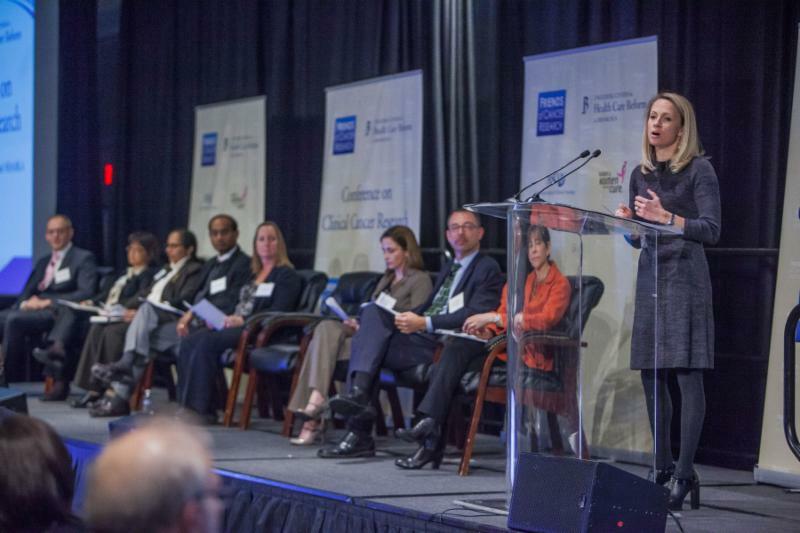 On November 21, 2014, the seventh-annual Conference on Clinical Cancer Research was convened by Friends of Cancer Research and the Engelberg Center for Healthcare Reform at the Brookings Institution, with the support of Susan G. Komen and the American Society of Clinical Oncology (ASCO). Each year, this conference brings together a diverse group of experts in cancer drug development from academic and clinical research centers, federal health and regulatory agencies, patient advocacy organizations, and the private sector to develop practical, consensus-driven solutions to critical challenges in the development of drugs for cancer. The conference emphasizes outcomes and many of its panels have led to material improvements to cancer care, including the 2012 passage of the Advancing Breakthrough Therapies for Patients Act, which created a pathway to expedite the development of exceptional new drugs for patients in need, the development of Lung-MAP, an innovative multi-arm, biomarker-driven clinical trial that uses a targeted screening method to match patients with investigational new treatments, and the creation of FDA Guidances such as the 2010 Guidance describing how to test novel drugs in combination. 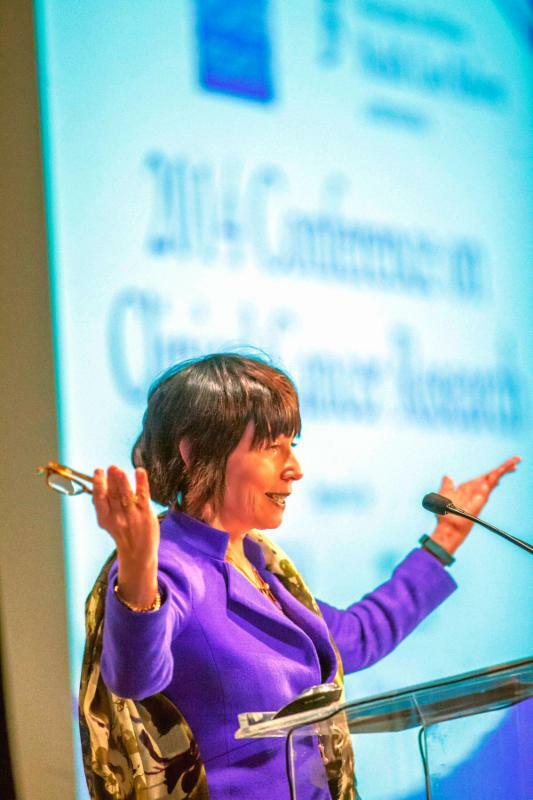 Dr. Ellen V. Sigal, Chairperson and Founder of Friends of Cancer Research, welcomed the attendees and introduced the morning keynote speaker, Congressman Fred Upton (R-MI), Chairman of the House Energy and Commerce Committee. Rep. Upton, together with Rep. Diana DeGette (D-CO), has spearheaded the 21st Century Cures Initiative, a bipartisan effort which aims to accelerate the development and approval of new drugs and devices. "This initiative will profoundly change the way we approach innovation and do business in drug development," said Dr. Sigal in her introduction. Rep. Upton stated that we only have cures for approximately 500 of the 7000 known diseases. He explained that the current economic and regulatory climate in the United States has driven more than half of venture capitalists overseas. "If we want to save more lives and keep the United States the leader in medical innovation," he said, "We have to make sure that there is not a major gap between the science of cures and the way we regulate those therapies." To that end, the 21st Century Cures Initiative is working with and seeking ideas from all stakeholders on how to accomplish the following 5 goals: 1) keep patients at the center of the decision-making process, 2) modernize clinical trials, 3) foster 21st century digital medicine by facilitating data-sharing and the use of medical apps, 4) encourage young scientists to enter medical research, and 5) incentivize the development of drugs and devices for unmet medical need. The initiative has held 4-5 roundtables in Washington DC, dozens of roundtables across the United States, and 8 committee hearings. A discussion draft based on ideas that have been generated through this process will be released in mid-January. Congressman Upton announced that Friends of Cancer Research will be holding a roundtable for advocacy organizations to provide feedback on this discussion draft in late January. Once this feedback has been incorporated, the initiative aims to introduce a bill and move it through the Energy and Commerce Committee in March and to have it on the floor by Memorial Day. Said Congressman Upton, "Together we can achieve the common goal of accelerating the pace of cures." Dr. Janet Woodcock, Director of the Center for Drug Evaluation and Research at the FDA, delivered a keynote address on the state of the Breakthrough Therapy Designation. The FDA has received far more requests and granted more designations than had been thought possible when the program was originally conceived. To date, CDER and CBER have received 243 requests for Breakthrough designation and 69 designations have been granted. According to Dr. Woodcock, there are many drugs currently on the market that would not yet be available in the absence of the Breakthrough Therapy program. Dr. Woodcock stressed that the success of the program is not due to lower standards for the approval process--standards have remained rigid and appropriate for each specific disease setting--and that Breakthrough designation does not directly translate into drug approval. Instead, the program allows for increased attention and consultation between developers and regulators. For instance, owing to efforts within the newly formed Office of Pharmaceutical Quality, some Breakthrough drugs that would have been delayed getting to market due to the compressed manufacturing timeline were made accessible earlier, "drugs that were really needed by patients." Dr. Woodcock noted that the robustness of the program has led the FDA to consider streamlining the workload as the Medical Policy Council continues to evaluate the Breakthrough program. They are also working on ways to make the process more standardized and to educate industry partners as to how submissions can be improved. FDA recognizes that "Not all of these are going to pan out, but for people with the most need, people with serious and life-threating diseases, there are actions we can take to make a difference." Mace Rothenberg, Senior Vice President, Clinical Development & Medical Affairs & Chief Medical Officer, Pfizer, Inc. The first panel discussed how single-arm trials might be used to support full approval of "transformational" oncology drugs.Although randomized trials provide the most reliable evidence of a drug's safety and efficacy, there are situations where randomized trials are not possible or ethical. Dr. Richard Pazdur explained that there now exist drugs that demonstrate unprecedented response rates and duration. The question the office must often consider is not whether a drug should be approved, but rather how quickly can it be approved. Trials should be designed in such a way that patients want to enroll. He emphasized that that there should always be equipoise-if there is not, randomization does not make sense. Dr. Mace Rothenberg described criteria for single-arm trials to support full approval: 1) an unprecedented effect on ORR is observed in a setting of high unmet medical need; 2) clinical trial patients have been well characterized, enabling a target population to be clearly defined; 3) experience exists in a sufficient number of patients to allow adequate assessment of the risk-benefit relationship; and 4) a proper historical context can be provided for analysis. Dr. Richard Simon emphasized that prospective selection of historical controls as well as a statistical analysis plan are needed, and the panel called for an FDA Guidance or best practices document to provide guidelines to facilitate the use of rigorous single-arm trials. Josh Sommer added that for some rare or molecularly defined cancers, historical controls may not exist but patient organizations are well suited to develop these. The panel also discussed the potential use of response rate as an endpoint sufficient to support full approval. Dr. Deborah Armstrong discussed the history of response rate as an endpoint for clinical trials and as a tool for managing patient care. Dr. Gideon Blumenthal described how response rates might be considered predictive of long-term outcomes or, in certain contexts, clinically meaningful in and of themselves. Josh Sommer added to this, saying that for many patients, "Survival is not the only goal that matters. They often would rather have more good years than years in total. We cannot let perfect be the enemy of the good." Dr. Pazdur said, "We have been demeaning response rate as an endpoint. It is meaningful." In the open discussion, Dr. Renzo Canetta of Bristol-Myers Squibb pointed out that the response rate endpoint discussed by the panel may only be appropriate for some therapies. He argued that we must develop ways to evaluate quality of life as well as other endpoints, such as milestone survival, that capture the effects of emerging therapeutic modalities such as immunotherapies. Mark Gorman, a cancer survivor and patient advocate, asked about the impact of the regulatory and commercial landscape, which favors first-in-class drugs, on the development on second-generation drugs that may be superior to their predecessors. Dr. Blumenthal brought up the example of ALK-inhibitors and how second-generation drugs should now be tested against crizotinib or in crizotinib-refractory patients. 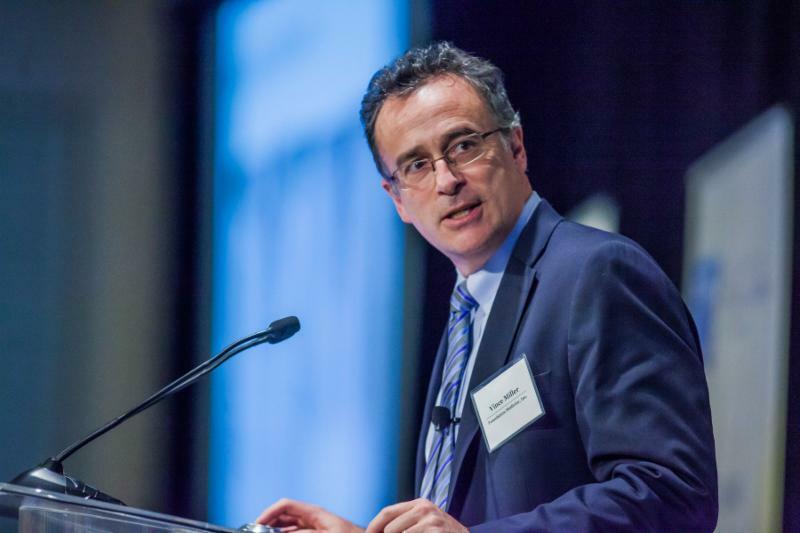 Dr. Pazdur added that this is not a static process and that the appropriateness of a single-arm trial also depends on the therapies that are available--if more treatments that are effective are available, then randomized trials are needed. Samuel Nussbaum, Executive Vice President, Clinical Health Policy and Chief Medical Officer, WellPoint, Inc.
Vincent Miller, Chief Medical Officer, Foundation Medicine, Inc.
Dr. Mark McClellan introduced the second panel, which proposed and discussed frameworks that aim to provide access to drugs while generating evidence of their safety and efficacy in prospective registries. Because it is not feasible to test every drug in every disease setting, off-label use is common in oncology and offers patients a chance to receive a potentially effective therapy that they otherwise would not have access to. However, data providing scientific support for an off-label use may be limited, and the current approach to off-label prescribing does not capture patient outcomes. Dr. Richard Schilsky described the TAPUR (Targeted Agent and Profiling Utilization Registry) study being spearheaded by ASCO. This program, which will be conducted under an IRB-approved protocol and will be launched in mid-2015, aims to create a national facilitated access program and registry of the outcomes of cancer patients receiving off-label treatment with targeted therapies. Dr. Dane Dickson described a similar program being developed by Palmetto GBA and MolDX called MED-C (Molecular Evidence Development Consortium). In this program, patients with a particular malignancy such as non-small cell lung cancer would first receive standardized molecular testing and would then be assigned to a particular "pathway" based on their mutation status. When possible, patients with actionable mutations would be directed to receive an appropriate targeted therapy that has been approved for their disease. If no such therapy has been approved, patients would be directed to either a clinical trial testing a targeted therapy or to receive the agent off-label with data-capture. Dr. Vince Miller praised these efforts and said, "We might already have answers to many of our questions if we had some kind of mechanism to collect outcomes." Dr. Jane Perlmutter emphasized the need to learn from patient treatment outside of clinical trials as many patients may be ineligible or otherwise be unable to enroll in clinical trials. Dr. Jeff Roche added that cancer is a big burden and someday treatment with targeted therapies should be seen as reasonable and necessary for everyone. Dr. Pazdur closed the panel presentation by emphasizing the need for flexibility in the amount and type of data. We are going to have smaller numbers of patients and we have to be realistic that the world of drug development is changing. 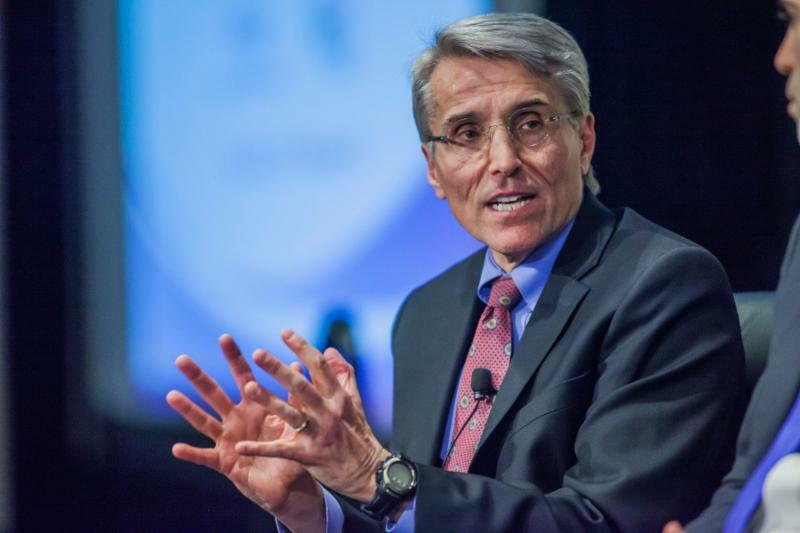 He said that a regulatory decision requires a uniform, defined patient population, emphasizing the importance of standardized diagnostics to identify patients likely to respond to a specific therapy. 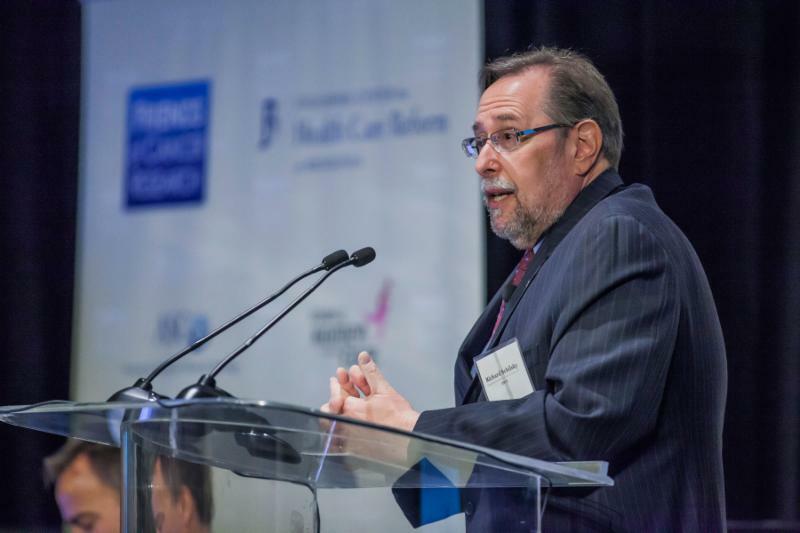 He then asked the audience to ponder what the world of oncology would look like today if we had stuck to the 1980s and early 1990s requirements of two randomized controlled trials assessing overall survival and said, "You probably wouldn't like it." Laurie Strawn, Senior Director, Worldwide Safety and Regulatory Strategy, Pfizer, Inc. The final panel discussed the potential use of "summary review" to analyze applications for supplemental indications. Dr. Paul Kluetz explained that the oncology office receives many efficacy supplements for new indications. Regardless of the quantity of existing clinical and post-marketing data, clinical reviewers often spend time verifying analyses submitted in the clinical summary from raw and derived datasets. The time spent analyzing primary datasets for efficacy supplements with well-known safety and efficacy in other settings could be better spent. Dr. Rachel Sherman added that resources are limited and innovative programs, such as those discussed in the earlier panels, will be resource-intensive and so it is prudent to identify ways to increase efficiency. The FDA, therefore, is proposing to review clinical study reports rather than primary datasets for carefully selected efficacy supplements. This is similar to the approach used by other regulatory agencies. Dr. Robyn Lim explained that Health Canada takes a "top-down" approach in which summaries are evaluated initially, but reviewers may analyze the raw data as needed. Dr. Tatiana Prowell described the initial FDA experience of using a "summary review" approach for the supplemental approval of Avastin to treat cervical cancer. Avastin has a track record of efficacy in a number of settings as well as a significant but well-characterized toxicity profile. It had clear efficacy in the setting of cervical cancer and "absent fraud or a huge error, this was a clear-cut decision" for reviewers. The application was reviewed without re-analyzing the raw data, allowing the FDA to take regulatory action in only 3.5 months. As discussed by Dr. Katherine Sugarman, the panel evaluated the US labels of Afinitor, Sutent, Gemzar, and Alimta to determine how safety labeling changed over time as new indications were added. These evaluations found that review of full datasets for each new indication resulted in no significant change to the existing safety profiles described in US labels. In fact, most changes to adverse event labeling over time were attributable to post-marketing surveillance rather than clinical trials. Dr. John Jenkins of the FDA asked the panel about the system of checks and balances, and whether stakeholders could ensure the integrity of the regulatory process. Dr. Kluetz reminded the audience that this program is intended for only very select supplemental applications and added that it would include data auditing and would retain the ability to access raw data as needed. A pilot program would determine exactly what is submitted to and reviewed by the FDA.